Adopting Haitian Brothers: Our 1st Adoption Grant Opportunity!!! We are Clayton and Kim Meyer from Edmond, Oklahoma and our family is 3 years into a journey of adopting 3 Haitian brothers, our 'Little Men Meyer.' Our boys are 17,13 and 11. God has given us a passion to offer love and hope to the lost and forgotten of the world. Our 1st Adoption Grant Opportunity!!! Our family has been selected by Lifesong For Orphans, to receive a $5,000 matching adoption grant, from the Karis Adoption Fund! If we can raise $5,000, we will receive the full $5,000 grant!! 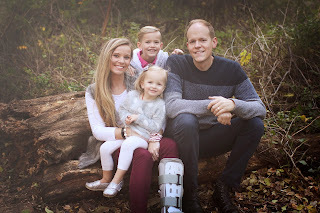 Our family is so, so excited and grateful for this amazing opportunity from the Karis Adoption Fund, to help us raise the money we need to bring our 3 #littlemenmeyer home from Haiti! We would be so grateful if you would share our adoption journey with your social media friends and followers. Right now, we are anxiously waiting for the phone call that says we have the 'official referral' so we can travel immediately to Haiti and go meet our 3 boys. In order for this to happen, we need $20,000 on hand just to accept the referral and then about $5,000 for travel expenses for our 14 day bonding trip. We have been saving every penny we can, but it is not enough. We cannot raise the money on our own, we are praying for God to provide exactly what we need, when we need it. We are asking our family, friends and community to prayerfully consider helping us reach our financial adoption goal. Every single dollar donated is very appreciated! Individual donations $50 or more and yearly donations totaling $250 or more will receive a tax-deductible receipt. Receipts for donations under $50 will gladly be sent upon request. Lifesong is a 501©3 tax exempt organization. You may also send a check payable to "Lifesong for Orphans." In the memo line please write "Meyer5661" to ensure it is credited to our account. Please mail to Lifesong for Orphans, PO Box 40, Gridley, IL 61744. Lifesong has been blessed with partners who underwrite all U.S. administrative and fundraising costs (TMG Foundation and other partners.) That means 100% of your donation will go directly to our adoption fund.